Palanca is a Spanish word which means "lever." Just as a lever enables a person to move something which is beyond their normal strength, Palanca allows a person to move beyond his/her capabilities. In the Cursillo sense, it is the prayer and sacrifice which is offered to God so that we, as apostles, may accomplish more than we would be capable of otherwise. It is important to understand that Palanca is not gifts or love letters. A letter may be sent explaining what type of Palanca is being offered, but that letter is not the Palanca. The actual Palanca is the action (Prayer, Sacrifice or Works of Mercy) and can be done without writing a letter about it. A Personal Palanca letter is one that is sent to an individual telling him/her what is being offered for spiritual success. A General Palanca letter is one that is sent to the whole group (for example, team and/or candidates) informing them of the Palanca being done. Prayers in the Cursillo context, which are offered as Palanca, are intercessory prayers. Likewise, Sacrifices which are done as Palanca are also intercessory. They are any form of prayers and/or sacrifices which are offered on behalf of another person(s), for a particular phase of the Movement, or for the Cursillo Movement in general. 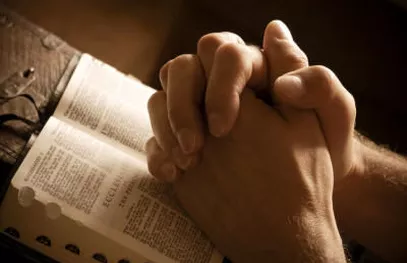 Pray for the living and the dead (Praying for our families, friends, business associates, for those who ask for our prayers, and for the souls of our loved ones; pray also for those most in need of God's mercy whether living or dead). Palanca is an integral part of all phases of the Cursillo Movement. For a few examples: For Pre-Cursillo --- Palanca should be offered so that Cursillistas prayerfully select potential candidates and also for the targeting of evangelizing particular environments. For the 3-day weekend --- Palanca should be offered for the team so that the team members are formed into a real Christian community; Palanca should be offered for the candidates so that they will be open to the grace of God on the weekend. For Post-Cursillo --- Palanca should be offered for new Cursillistas as they return to their families, friends, and workplaces. This is a time that they need further strong spiritual support. For Post-Cursillo, Palanca should also be offered on a regular, ongoing basis for Group Reunions, Ultreyas, School of Leaders and Workshops. It should be offered for all Secretariat members (Diocesan, Regional, National, and World Movements) so that these members may be guided and directed by the Holy Spirit. Palanca is especially powerful because of the blending of prayers, sacrifices, and works of mercy from the entire Cursillo community. An orchestra is not in sync when the players are tuning their instruments, but when the conductor raises his baton and begins the tempo, there is a harmonious blending of notes. So it is with Palanca when we are all in accord with the will and the work of God. Our individual palanca is very powerful, but when our Palanca is in concert with others --- united with the Palanca of other Cursillistas --- it becomes a mighty lever. Palanca is indeed the greatest contribution that the 4th day community can make to the Cursillo Movement.